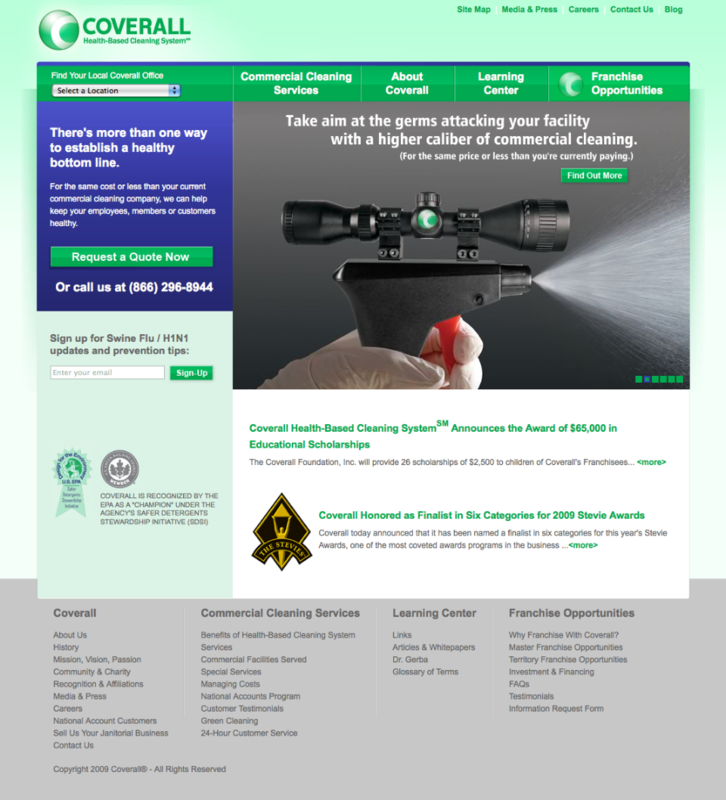 MDG unveils Coverall’s new Web site, www.coverall.com. 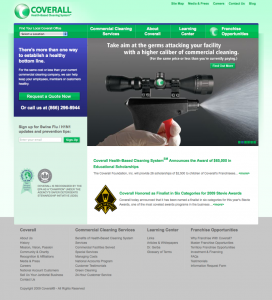 This new Web site communicates a stronger, clearer message about the benefits of Coverall’s cleaning services while conveying a consistent brand image that greatly enhances their luster. How did we clean up their act? Ultimately, MDG provided a more satisfying online experience for Coverall’s customers and franchisees, as well as a stronger Web presence and a more effective message for the Coverall Health-Based Cleaning SystemSM.